Continuing the press release sharing this morning, I have one from a couple weeks back from the Brewers Association that you should find interesting, particularly if you're the number-crunching kind. Boulder, Colo • March 27, 2018—The Brewers Association (BA)—the trade association representing small and independent1 American craft brewers—today released 2017 data on U.S. craft brewing2 growth. 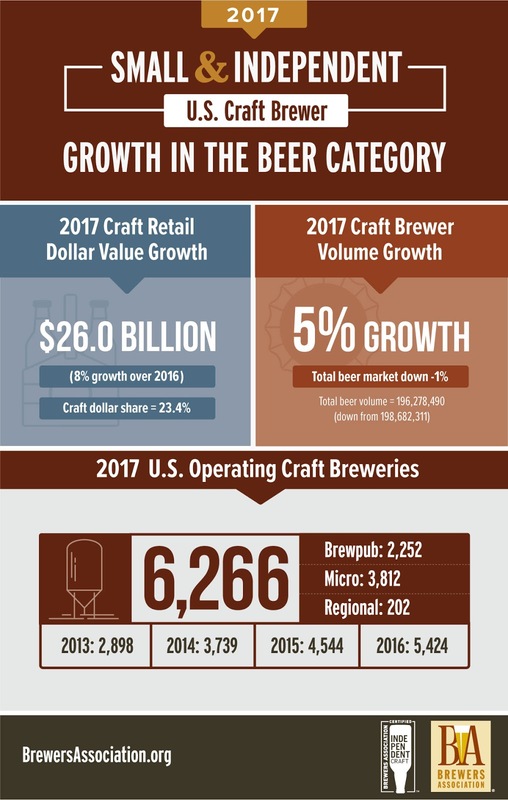 With over 6,300 breweries operating during the year, small and independent craft brewers represent 12.7 percent market share by volume of the overall beer industry.